1982 was a great year for Al Shorta. 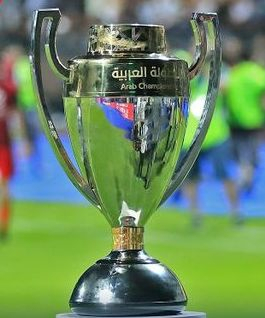 In what is one of the club's greatest ever achievements, they won the inaugural Arab Champions League (which was called the Arab Club Champions Cup at the time), something only two Iraqi clubs have done, the other being Al Rasheed who won the tournament three times in a row. The tournament featured three teams. A lot of Arab champions were invited but other than the eventual winners Al Shorta, only Al Nejmeh of Lebanon and Al Ahli of Jordan accepted the invite. Al Shorta, who were managed by Douglas Aziz and who qualified for the tournament as 1979-80 Iraqi National League champions, had a squad consisting of Raad Hammoudi, Sabah Lazem, Issam Khalil, Tariq Abdulameer, Riyadh Nouri, Hadi Al-Janabi, Ismail Mohammed, Adnan Jafar, Salih Radhi, Razzaq Hatem, Ali Hussein Mahmoud, Mahmoud Hussein Mahmoud, Faisal Aziz, Thamer Salman, Kareem Dawood, Hashim Sheneen, Maher Dheeban and Khalid Lazem. Al Nejmeh faced Al Ahli in the semi-final with the winner facing Al Shorta who were automatically placed into the final. 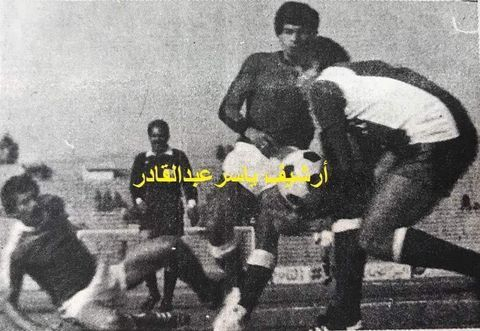 The semi-final's first leg was played on 19/05/1981 in Jordan (as the Lebanese Civil War meant it was not safe to play in Lebanon), and Al Nejmeh dominated the game and ended up as 2-1 winners, while the second leg held at the same venue ended goalless, meaning that Al Shorta would face the Lebanese side in a two-legged final. The final was postponed for a few months in the hope that it would soon be safe enough to play in Lebanon, but in February 1982, with the civil war still ongoing, UAFA decided that the final had to be played and thus both legs were played in Baghdad. The first leg was on 05/02/1982 in Al Shaab Stadium in Baghdad, Iraq. Al Shorta won the game 2-0 with two goals from Ali Hussein Mahmoud on 40 and 83 minutes respectively. The first goal was a lovely header that looped over Al Nejmeh 'keeper Zain Hashim after Mahmoud Hussein Mahmoud had beaten a Lebanese player on the right and put in a lovely cross for his brother. Ali also missed a penalty awarded by the Kuwaiti referee in the game as the Police took control of the tie. The second leg took place two days later at the same venue and this time the game ended in a 2-2 draw. Al Nejmeh got Al Shorta's fans worried by taking an early lead through Kader in the 11th minute, but Salih Radhi and Riyadh Nouri eased the Iraqis' nerves with goals on 40 and 61 minutes respectively to make it 4-1 on aggregate. Al Nejmeh threatened to make a late comeback as Mahid's 78th minute goal made it 2-2 on the night, but the Harps held out until the final whistle. This meant that Al Shorta had won the tournament after a 4-2 aggregate win and were crowned champions of the first ever edition of the Arab Champions League. Below are two photos from the final; the first is from the first leg and the second is from the second leg. 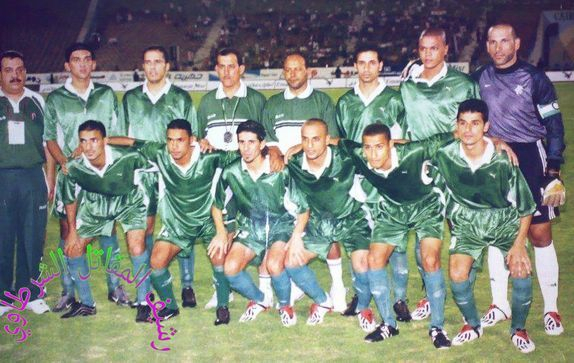 Al Shorta, participating in their first Arab Champions League since they won the tournament in 1982, finished bottom of Group B in the 2003 edition of the tournament winning zero games. 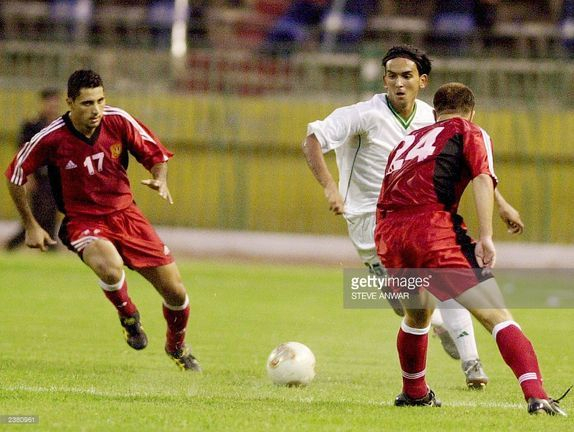 They were admitted into the tournament by the IFA after winning the 2002-03 Iraqi First Division and were drawn into Group B with Al Kuwait S.C. of Kuwait, Al Zamalek of Egypt, USM Alger of Algeria and Al Jaish of Syria. Al Shorta, coached by Basem Qasem and suffering from lack of fitness due to the conditions faced by the team after the war, submitted the following 23-man squad for the tournament: Goalkeepers Emad Hashim, Uday Talib and Hussein Ali, defenders Ziyad Tariq, Maher Habeeb, Ahmed Kadhim, Aqil Mohammed, Aqil Qassim, Yassir Raad and Mazen Abdulsattar, midfielders Mahir Ogla, Abbas Raheem, Mohammed Hadi, Ahmed Hussein Adan, Nashat Akram, Mohanad Mohammed Ali, Tassyer Abdulhussein, Ammar Abdulhussein and Wissam Zaki, and forwards Hamid Qasim, Ahmed Khudhair, Ahmad Mnajid and Amer Mushraf. The Harps kicked off their campaign with a respectable 2-2 draw with Al Kuwait S.C. The Kuwaiti side scored the first goal on 13 minutes through Somalia before Al Shorta equalised through Mazen Abdulsattar five minutes later. Ahmad Mnajid gave Al Shorta a deserved lead on 60 minutes, only for Anderson de Paulo to break Al Shorta's hearts in the 87th minute by equalising from a corner and snatching two points away from Al Shorta. Al Shorta went on to lose 4-2 against Al Jaish in their next game. Ahmad Mnajid scored the first goal for Al Shorta on just three minutes with a header from Abbas Raheem's cross and extended their lead to 2-0 on 26 minutes when Abbas Raheem scored a screamer from outside the box. However, a hat-trick from Al Jaish's Ahmed Al-Omair and Zeyad Shaboo's late goal won the game for Al Jaish in a game where Al Shorta's lack of fitness certainly played a major part. Al Shorta drew their next game against USM Alger. Bilal Dziri scored the first goal of a dull game for USM Alger but Adel Qassem equalised on 82 minutes so that Al Shorta could gain a point from the game. Al Shorta dominated proceedings in the game and should have gained three points from it; it was another missed opportunity for the Police. Al Shorta's last game of the tournament came against Al Zamalek of Egypt. Al Zamalek scored on 76 and 78 minutes through Hosam Hassan and Sameh Yousef before Ammar Abdulhussein scored a consolation goal four minutes from the end for Al Shorta but in truth the Iraqi side were comprehensively beaten by the eventual champions. It was a fairly disappointing tournament for Al Shorta who finished bottom of their group with just two points, but considering the situation the team and the country were in at the time, the lack of victories is understandable and the desire that the players showed during the tournament was admirable.